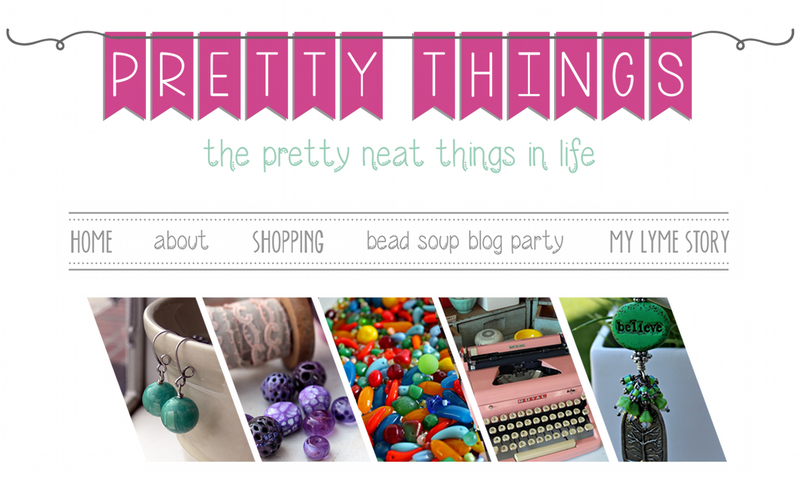 Pretty Things: Want to Participate in the NEXT Bead Soup Blog Party? 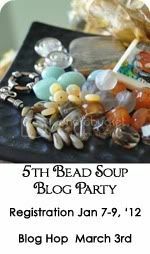 Want to Participate in the NEXT Bead Soup Blog Party? Continue blog hopping the 4th Bead Soup Blog Party by clicking here! 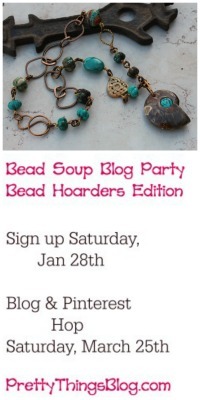 If you're fired up and want to participate in the next Bead Soup Blog Party, good news! I already have the dates! An important note -- the party will now be run by lottery. During the registration dates, you'll enter your information into a registration form. When registration closes, a random number generator will pick the group of people. No more than 200 people will be able to participate. Partners will be announced a week after registration closes, and the party will then proceed as usual, which I'll outline below. Thanks to Gr8findings for the photo for the new button! This is open to ALL skill levels. is in your "safe list" in your spam folder. As you will see, some will send a smaller amount, some will send a larger amount, but you do NOT have to send an entire necklace or bracelet kit. The idea is you will use the focal and the clasp, and if you wish, some of the coordinating beads, also incorporating beads from your own stash. 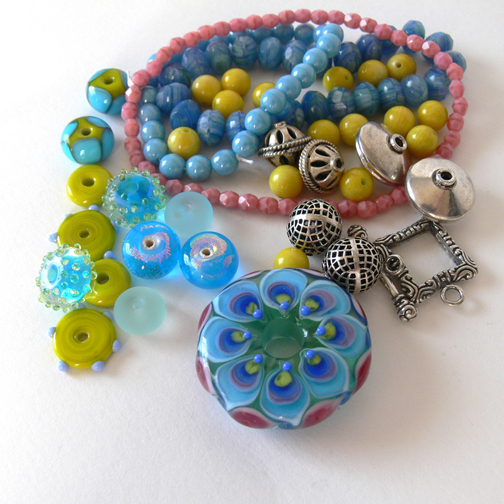 Using some of the coordinating beads IS encouraged (even if you only make earrings) but not required. The idea is to help you think outside the box and work outside your normal comfort zone, pushing you into creative directions you may never have gone. You can make one piece, two, three -- you can use the clasp in one piece and focal in another. LOTS to be creative with! 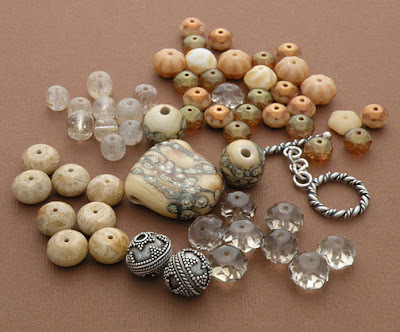 When you get your package of beads, show your beads on your blog, then make something with it, take a picture, and post it on your blog on the Party day. Then everyone hops around to as many Party Blogs as possible to see what people made on Party Day! will be out October 2012! Well, I don't know what I'm doing wrong, but when I paste the code from the new button, and put it where the old one was, I just keep getting the old Blog Party picture. I've tried 3 times. I'm going to try to just completely do away with the old BSBP link and start over and see if that works. Wow, thanks for coordinating this. I am blog hopping today and decided I need to do this next time. 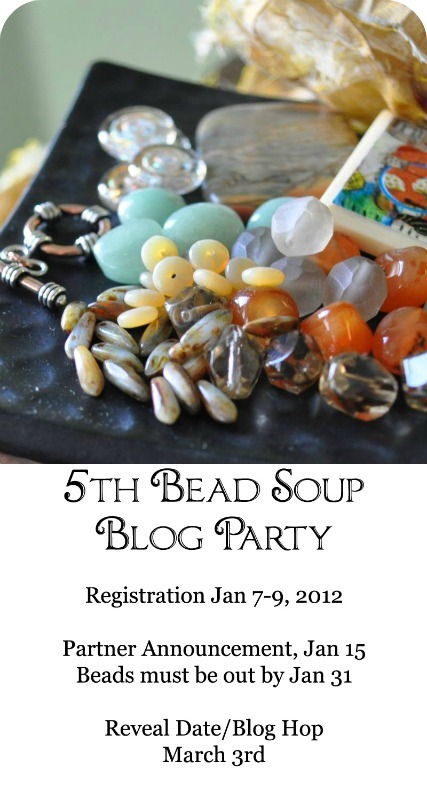 I see how to add the blog tag for the bead soup event. Just wondering do we send our info anywheres.. Thanks again for all your hard work for this event! Hi Lori I'm excited and will take the plunge next time praying I am one of the chosen. But to my reason for commenting: I tried copying and pasting the code for the button for 2012 but the one that appeared was the one from this year not the new one. Did I do something wrong? And thanks once again for pushing creativity for all and not just a select few. You are loved. Bummer that you have to limit the number of people who participate, but I can totally understand. I have coordinated a few workshops and that wore me out and there were less than 30 people involved. I can image how tired the BSBP makes you. I hope that I get picked in the lotto since I have had so much fun and want to do it again. I had such a good time this last time that I hope I get picked in the lottery next time!!! Oh my word, it will be so hard to wait until JANUARY! hahahaha!!! Thank you so much for being an AWESOME HOSTESS! YAY! I'll certainly be putting my name into the hat! Thanks again Lori for hosting this wonderful opportunity. It's great on so many levels! You're such a peach for putting so much time and effort into developing such an awesome experience for so many people to get together and share creatively. I sincerely hope the good has far outweighed the bad. Hugs to you!! Oh, HECK YEAH! I've learned so much and gained so much as a designer thru these hops. And I'm just the hobby beader! I'm going to be crossing my fingers the whole time! Lori - a huge thanks for all the effort you put into the bead soup party. This is my third out of the four and I hate you have to go to the lottery system because I certainly have enjoyed every one that I have participated in and it is the one event that I really look forward to and plan for. I totally understand you having to limit the participants but I hate that I might not make it in the next one. I will have to hope I am luck enough to "win the lottery". This project of yours is the one thing that has made me try something different each time I have participated and it has made me grow as a bead artist. Words are not enough to thank you for coming up with this great idea. This is great Lori!! Your so hard working..you deserve a real party! Soo many thanks to you! I want to be in the next one..and will look for the dates. yey! ox Now go get some rest! Thanks a ton for the wonderful bead soup Lori! Can't appreciate it enough. Posted a blog entry with my designs just now. Please take a look when you have a chance. Can't miss registering for the next party and will keep my fingers crossed that I get selected. Thanks again for all your hard work. Can you give an advise?? I am hoping I'll have the time to participate next time round. I think the lottery idea is good. Much more manageable and that's a good thing if we all want you to keep on doing this incredibly fun and inspiring party! Sounds like fun, would love to participate! 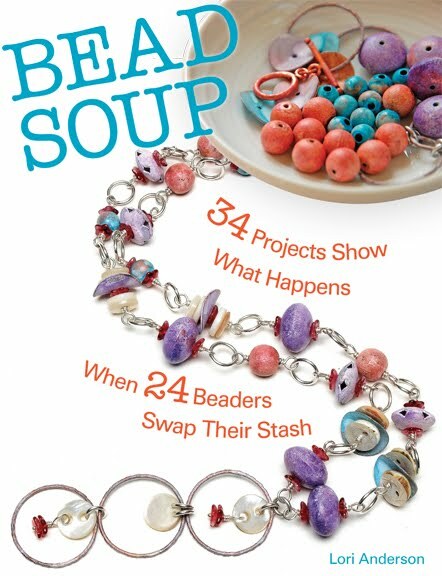 I am so excited about this I have been following Lori Bergmann's Bead Soup items and love what she did with them!!! Can't wait to register! This looks like so much fun I cannot wait to register! I hope I am one of the lucky lottery winners!!! Thanks for including the photographs of what a sample package might look like. That's a helpful guide for those of us new to the event! I can't believe you're already planning the next one. You're a better blog hopper than I! I think I'll be ready by January. Can I wait to post another blog entry until then?:). can't wait to see the book. had a wonderful time in BS4X. still working my way thru blogs - so many beautiful things. think the idea of random generator for a total of 200 is good. keep blogging. thank you for youre infos. i'm from switzerland and would love to be in. I'd love to be in it! I've seen BSBP on my friends blogs and I like it. Can I also do handmade beads for soup? Oh, I hope to be able to get in on this. It seems SO fun and a great way to not only stretch creativity but to meet new friends! I would so love to get into this party. 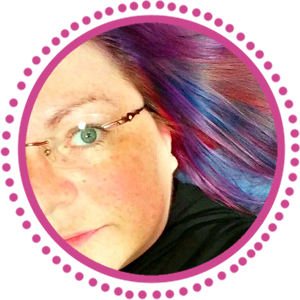 I have been following your blog ever since the third party and I love seeing all the participant's contributions. I do hope that I get picked. I am new to blogging and started my blog specifically so that I could participate in some of these exciting parties. I have been making jewelry for nine years mostly for my own enjoyment and as gifts however I have sold my jewelry and hope to get more involved in this avenue. Keeping my fingers crossed. 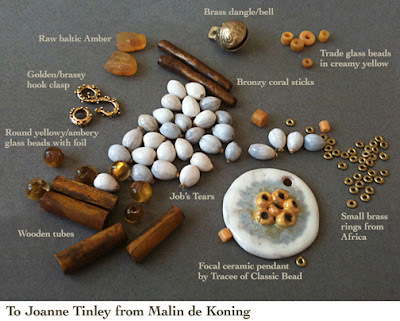 I have never participated in the Bead Soup before absolutely would love this adventure! I am not sure how to register so am leaving this note in hopes I get chosen! happy Beading can't wait to see everyone's creations. 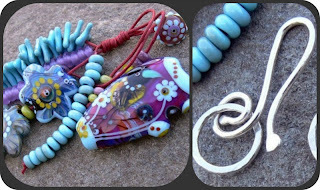 I'd love to participate in the bead soup blog party. I tried to add your html to my blog, adding under "gadget" but it said the gadget had errors, is broken and needs to be fixed??? Thanks for any help you can provide. I can't seem to find the registration form. Maybe you just don't have it posted yet? It is only 8:30am here in Georgia. I would love to participate. I will be posting the button as soon as I get home to my own computer. I can't seem to find an email contact to send my information or a link to a registration form. Could someone point me along? Wonderful! So glad I made it :) Looking forward to partying with you again!! I broke my ankle and missed it again! ARRGGGG. I really hope I can take part in the next one, I've missed 2 in a row now like an idiot.